Let's get the conversation started. Is your organization looking for financial planning software that works with the rest of your ecosystem? Our team focuses exclusively on building platforms that help improve lives through better financial decisions. Reach out and discover if a partnership with us is the right solution for you. © 2010 – 2019 Covisum®. All Rights Reserved. 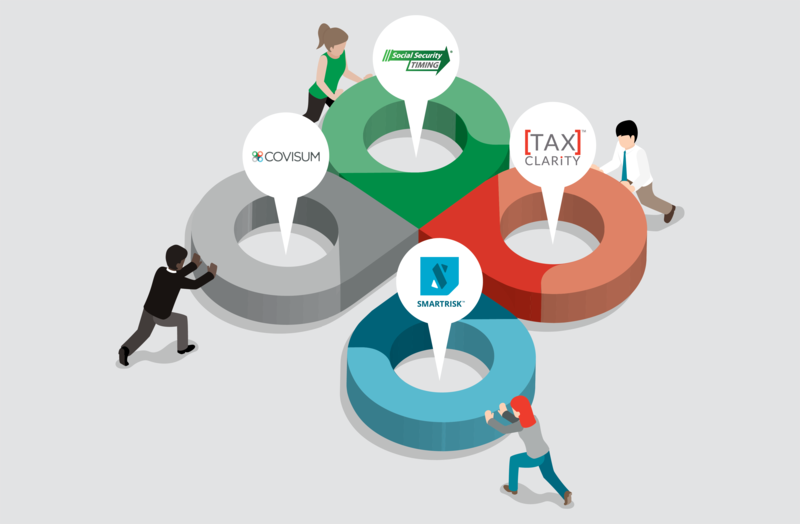 Covisum is not connected with, affiliated with or endorsed by the United States government or the Social Security Administration. The local advisor offering Covisum products may be an insurance agent, financial advisor, accountant or attorney. Advisors may offer other products or services and are compensated by commissions and/or fees for any other services they may provide.